Measuring the temperature of bread and pastry dough while mixing is important since too high a temperature will cause too much rise, resulting in holes in the baked product, and too low a temperature will not allow the dough to rise sufficiently, resulting in a baked product that is flat. Measuring temperature with conventional contact t/c probes, due to breakage and contamination of the food. 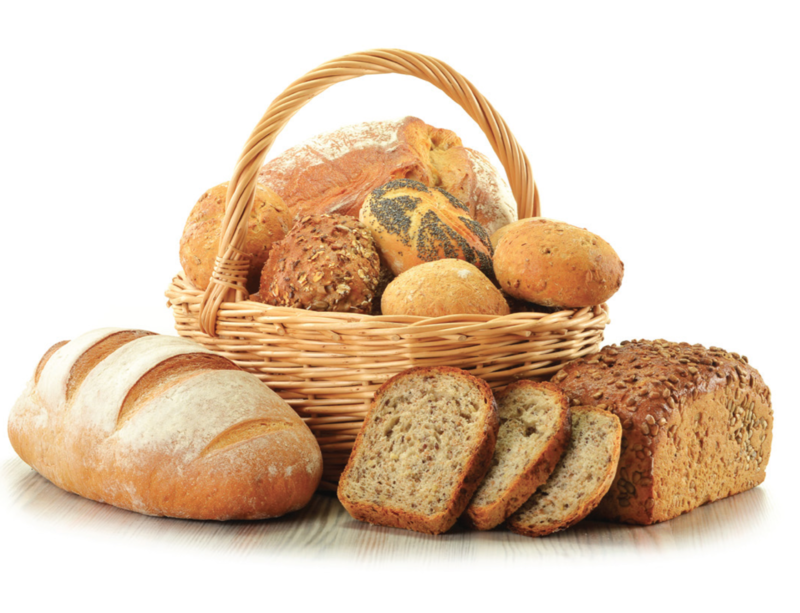 IRt/c improves profitability by monitoring temperature without contact, thus completely eliminating breakage and contamination, and control mixing speed motors to maintain proper dough quality and throughput. When the kneader is charged with the flour/meal and the other ingredients, a very accurate amount of water with a specific temperature is added. After a few minutes the ingredients are kneaded into a solid mass. The dough temperature rises as a result of the frictional heat. 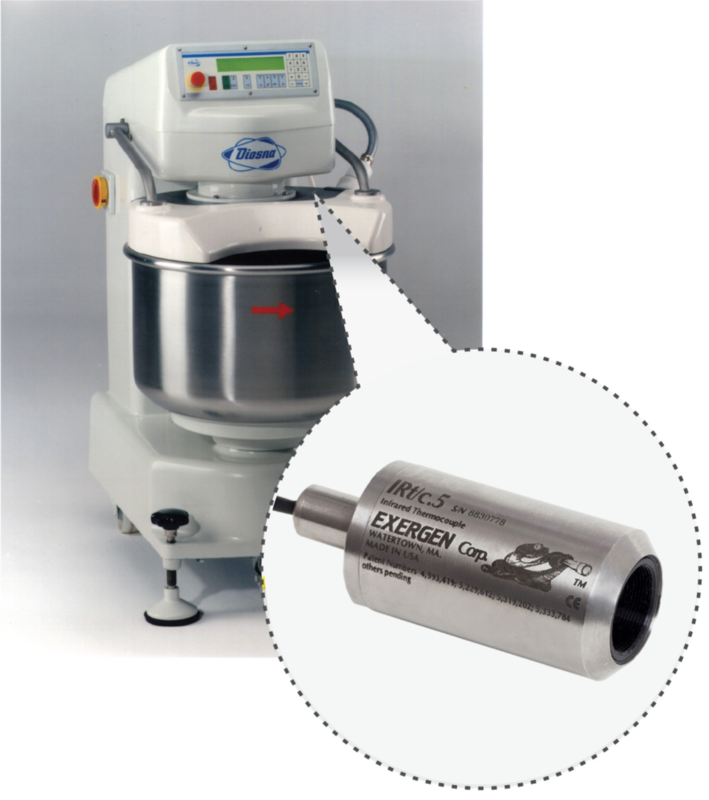 With the IRt/c.5 sensor the dough temperature is measured constantly and accurately so the kneading can be stopped when the dough reaches the specified temperature. As the dough is not homogeneous the temperature will differ from place to place. The IR sensor overcomes this problem by measuring an average temperature of a part of the dough.